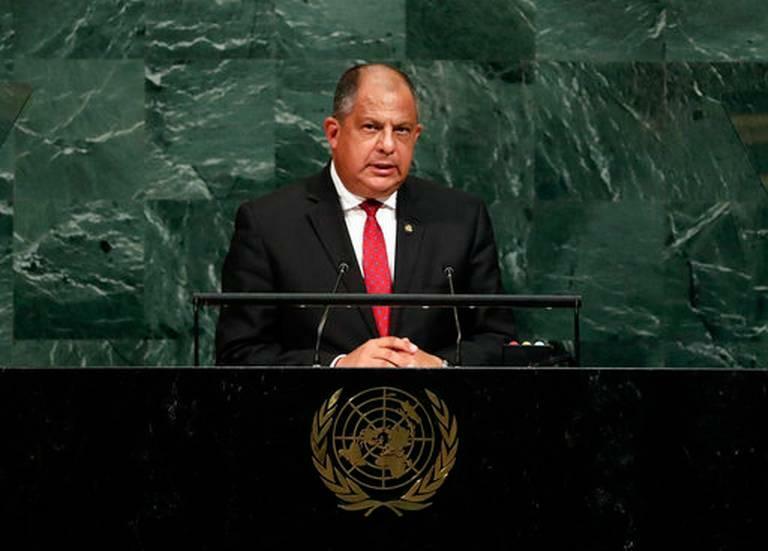 Costa Rican President Luis Guillermo Solis addressing the United Nations this week. 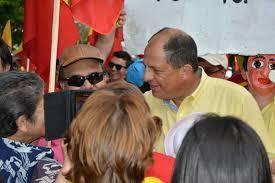 Before he was president of Costa Rica, Luis Guillermo Solís was a professor at Florida International University. He had a homecoming on Friday when he spoke at FIU on topics like climate change and the future of Venezuelan democracy. Solís was a Fulbright professor at FIU at the turn of the century, researching Latin American issues. After addressing the U.N. general assembly this week, Solís came to talk at FIU’s Main Campus about those same concerns. Speaking with WLRN, he addressed hemispheric topics weighing on South Florida. They included global warming and the stronger storms it’s creating, such as Irma and Maria. Like other Caribbean leaders, Solís said industrialized countries like the U.S. need to be aware of that. “The impact of carbon emissions is such that something has changed," Solís said. "Therefore, bigger countries and world powers have a big quota of responsibility. I mean, the islands for one, some of them are going to disappear because of the level of the sea rising and, as we have seen recently, because of the impact of hurricanes,” he said. Solís also said he hopes the Trump administration can help unify Latin America in pressuring President Nicolás Maduro to restore democracy in Venezuela. “We all agree that the crisis is very serious, that democracy has been put at the very edge if not destroyed by the Maduro regime - that we need to be together in order to deal with this," he said. Costa Rica, which has no military, also recently led a new international treaty on nuclear disarmament that 122 countries have approved. 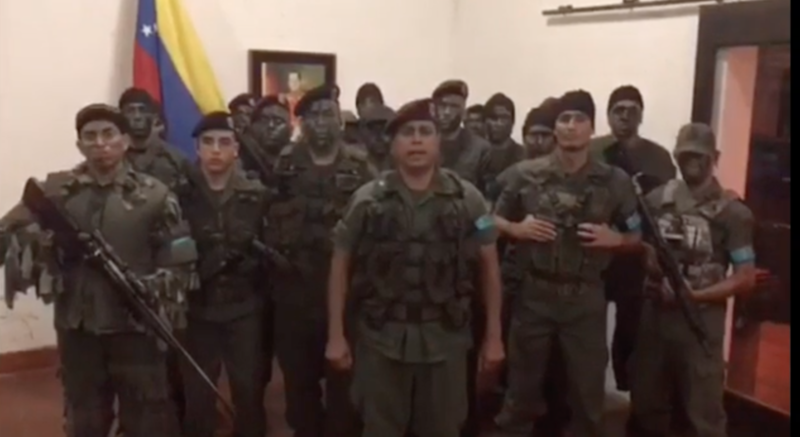 On Sunday a small band of Venezuelan soldiers staged a revolt at a military base in the city of Valencia and made off with weapons. Costa Rica is best known for its vacation beaches and lush rain forests. But recently it has become a thoroughfare for tens of thousands of migrants from South America and elsewhere who are hoping to reach the U.S. 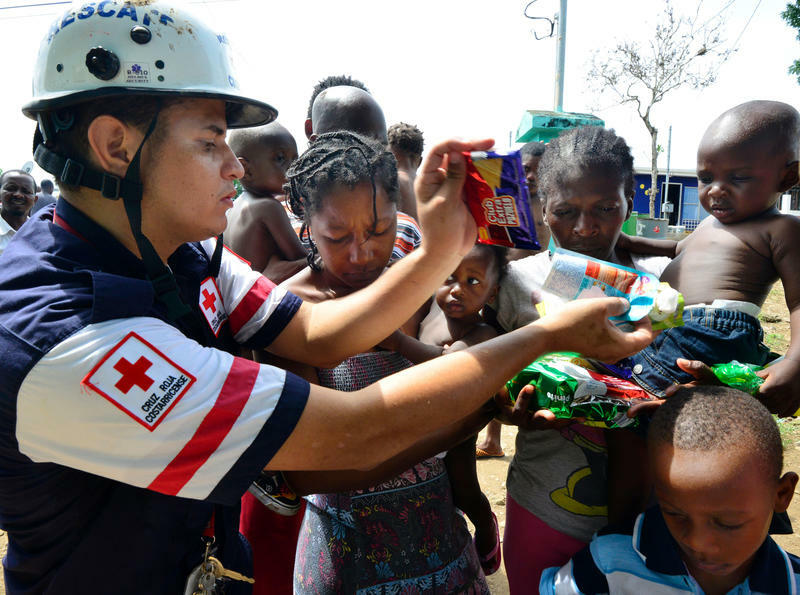 Many are from the Caribbean, but a significant number trekking through the country are Africans and Southeast Asians, and collectively, they are straining Costa Rica's welcoming reputation.